<- H.G. Schlegel <- K. Komagata <- ATCC <- NCTC <- J.V. Cook. 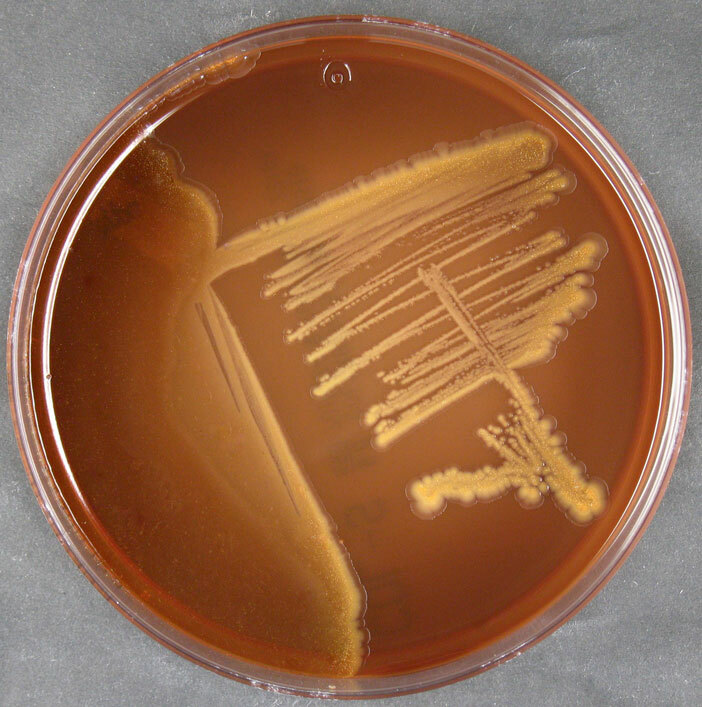 (Corynebacterium ammoniagenes). Stool of infant (1307). Taxonomy/description (1305, 13952, 14106). Polysaccharide: arabinogalactan (346). Murein: A31 (346). Produces ADP (U.S. Pat. 3,762,999), ATP (U.S. Pat. 3,762,999), flavin-adenine dinucleotide (U.S. Pat. 3,647,627), 2-substituted-6,9-ß-D-ribofuranoside-5'-phosphoric-hydroxypurine acid esters (U.S. Pat. 3,560,342), 5'-inosinic acid (U.S. Pat. 3,268,415), L-isoleucine (U.S. Pat. 3,231,478), NADP, orotidylic acid (U.S. Pat. 3,560,342). Extraction of protein from bacterial cells (U.S. Pat. 3,585,179). (Medium 535, 28°C or Medium 693, 28°C).